So let’s run down the big bits, starting with Artifacts. I am mostly on board. Get one weapon and upgrade throughout the expansion, gaining essentially talents and abilities from the weapon itself? Rad. No tossing my axe out every new dungeon/raid/PvP Season, and gives long term progression that seems more rewarding of your investment: improving this one thing rather than just throwing out your hard-earned loot for the next piece that comes along with a higher set of numbers. Class Orders/Halls also sound cool. A return to class identity and quests? Hell yes. “But I don’t want to hang out with other people just because we share a class,” say some people that obviously play Death Knights. Anyone who’s done the Highmaul Coliseum knows that a common class is a sacred bond. It took less than 24 hours for that place to turn to prison yard rules: “Warriors stick together, kill the Disc Priest first.” When the chips are down, you can only really depend on people who use the same spells as you. I mostly liked Garrisons, but they were definitely… isolating for a game all about playing with lots of other people. The idea of a similar space with all of your class fellows is exciting. Paring down the follower missions and have them provide reasons to go out in the world is also solid. Ravenholdt or riot concerns withstanding, I’m down with Class halls. Demon Hunters… meh? They don’t grab me. I don’t begrudge their existence, but I’m not champing at the bit to play one, either. I’ll roll one to check it out like everyone else, because hey, free level 98. As I said over on Twitter during the first Legion panel, it is super clear the people joking about Warlords being the beta for Legion missed the mark. The beta for Legion was Diablo 3. Leveling content that scales to your level, daily bounties across the various zones, challenge modes tied to keystones, and account-wide transmog that doesn’t require holding on to every item forever? We’re in Diablo-land, people. In a good way, I think. Diablo gets a whole lot of play for the relatively small amount of content it provides. Run through these same 5-10 hallways, smash monsters, get loot. The WoW endgame shares some of those principles, but adds more complex mechanics and requires that you do it with at least four other people. One of the biggest differences though, is that Diablo keeps rewarding you for that content: Paragon levels, better loot, new difficulty levels and so on. With artifact progression and scaling rewards from challenge modes, Legion can do the same. Dungeons won’t stop being worthwhile as soon as you can LFR, they keep giving you more. There will be something to do other than raid progression! The Adventure/Bounty mode in D3 is super grindy, but that is more specific than it needs to be: “D3 is super grindy” pretty much covers it. But the idea of new and changing objectives out in the zones you’ve been to is a solid one. “Get out and do stuff” was a goal that Warlords severely lacked. If the rewards for these missions are good, it could provide a lot more worthwhile things to do once you hit 110. Level through the zones in whatever order you want sounds neat, not sure how it will work in practice, though. It’s an ambitious aim to scale the content to each player while still having people of potentially different levels playing together. I’m curious if they can pull it off. The new Transmog system is undeniably good in pretty much every way. Hello bank space. Hello sharing all my item appearance across characters. I probably won’t hide shoulders on any character except a monk, but it’s neat that people have the option. Tri/quad spec: I rarely use dual spec to its full extent, but neat, I guess. Spec differentiation is a noble goal, and melee hunters sound awesome. Shared nodes irk me as a PvP server player, denying the enemy ore and flowers brought me joy and also STOP MAKING MY STRIPS OBSOLETE. Profession changes sound good, crafting and gathering in WoD were… odd. Kind of useless pretty quickly. If Major Glyphs are gone, are the functions of those glyphs still available somehow? Really hope Vol’jin does more than give me a promotion and a pep talk this expansion. So I guess Death Knights get to make fun of Demon Hunters now as the noob class that doesn’t know what they’re doing? At least DKs had to suffer through Outland as tax for their higher starting level. I’m in 10 bucks on Tirion dying, I wanna put money on Green Jesus living, but no one will take a sucker’s bet. Calling it now: “YOU ARE NOT PREPARED” makes a huge comeback as this expansion’s “GET OVER HERE”. 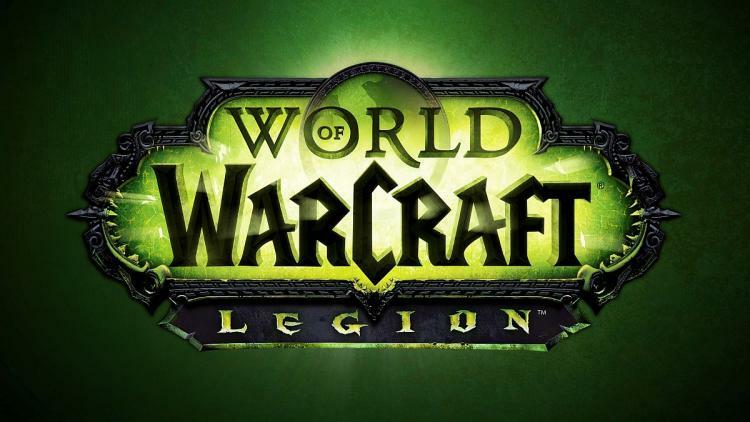 What do you think of what we know of Legion so far? I really loved SWTOR, for those first 4-5 months it was out. I got two characters to 50, and was having fun doing some endgame PvP. After a while my friends stopped playing, and I had geared out, so I let my subscription lapse. I thought fondly of the game. Then the F2P update came. I thought “Hey! I enjoted SWTOR before, I’d totally be down to play for free. I fired it up and started playing again. I couldn’t equip my epic PvP gear I had already earned. Half of my action bars were taken away. I finished a quest and a full half of the reward options were only available to subscribers. I quit inside of 15 minutes and never looked back. You oughta sub for the latest expansion. 1) Ooh, Varian is sure getting old. 2) Ooh, wonder who Vol’jin sent to team up with the Alliance. 4) Sylvanas nods at Varian. Varian nods back. 5) Pause the video, laughter. 7) Only thing that would make this funnier would be if Varian sent Genn in his place. 8) Plus points for finally covering up Sylvanas’ midriff with armour. 9) Varian is sure gonna die. Not in the trailer, but later. Possibly with Thrall holding his hand, proclaiming his tragic love for him. 10) I am sure going to miss the Skybreaker. It was cool, as every Blizzard cinematic is. Not my favorite, though. For a second I though Varian was going to die in the cinematic, I would have been pretty on board for that. The class changes that I have seen so far are pushing me towards playing either a fire mage or a balance druid. I look forward to killing demons again in Legion. I’ve been playing my warrior in WoD, but it’s not super clear what’s going on with Arms and Fury in Legion, so I guess we’ll see what I play once I can try it out. I for one may actually not play this expansion. I usually enjoy playing mmo expansions at their release because they tend to have the wild west feel of classic (when everyone doesnt know much and you have fun finding glitches). Of course I had an absolute blast with PvP in the opening months of WoD. Probably because playing a Prot Paladin in the Coliseum was absolutely hilarious.